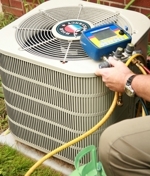 Same-Day Heating and AC Repair in Orange County - Call Now! Beat the Heat! Call Now to Speak with a Licensed AC Technician. For 19 years, Comfort Air has built a reputation for reliable same-day HVAC service within the Orange County area. We take our jobs very seriously, which is why we make sure to hire only the finest factory-trained AC technicians. Rest assured that we will fix any cooling and AC service issues you're having in an efficient manner. Your satisfaction is important to us. Call Now (949) 242-0780 for Your Estimate! With our extended warranties and AC maintenance procedures, we are always looking for ways to benefit you. Don't suffer through the hot SoCal summer. Let us make your home comfortable all year around. Same-Day AC Repair in Orange County. Call Now!